See that person in the red blazer smiling from ear to ear? Chances are it's a Spokane realtor. Starting around July 2014, all of the important year-on-year metrics have been trending in the right direction — sometimes by as little as 1 percent, sometimes by as much as 28 percent. Total sales are up. Both average and median prices are up. Distressed home sales are down. Inventory is down, too, which might not be ideal from the buyer's standpoint but indicates strong local demand. "Our market's healthy. We're busier than we've been in about seven years," says Jack Kestell, president of the Spokane Association of Realtors. The stats for June 2015 offer a good basis for his optimism. Sales of single-family homes under an acre are up 27.5 percent year on year. The average closing price ($204,483) is up by 7.8 percent. At $183,500, the average median closing price — typically considered a more reliable indicator — is up 7.3 percent. "Prices have firmed and come up from the lows we experienced during the recession. And on top of that, loans are readily available and rates are really attractive, with under 4 percent for fixed-rate mortgage financing," Kestell says. It's a similar story In the Idaho panhandle. "I can tell you we've seen year-to-year home sale prices rise by about 12 percent in the greater Coeur d'Alene area," says Lea Williams, a realtor and associate broker for Sotheby's. "The number of sales has also jumped by about 15 percent. Part of that is that we have a lower inventory, which causes prices to go up, and the fact that the economy is better. I can feel a distinct difference between this year and last. Homes $250,000 and under are going within days of being put on market." Anecdotally, she and her colleagues are seeing increased out-of-state relocations to North Idaho, something she attributes in part to Kootenai Health becoming a member of the prestigious Mayo Clinic network last August. "Just that affiliation alone has stepped up our quality of health care. A lot of people are just cashing out and moving here for a better quality of life." 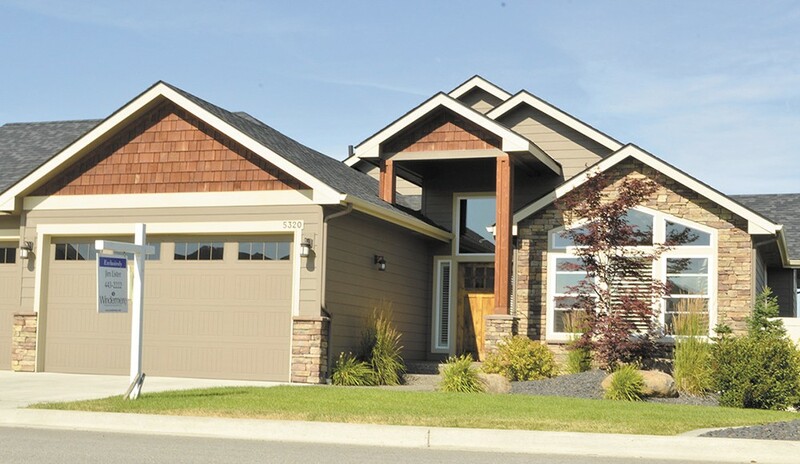 Offering some of the most scenic views of any Spokane neighborhood, it's no wonder Kendall Yards commands some of the highest prices per square foot. The median sale prices for its various models of townhomes, apartments and single-family two- to three-bedroom detached homes is $281,000. "Talk about a hot market!" says Windermere realtor Marianne Guenther Bornhoft. That sizzle comes down to more than just the vista overlooking the iconic Monroe Street Bridge and the rugged Spokane River Gorge. Kendall Yards' appeal has been carefully curated to strike all the right notes. Farm-to-table eateries like The Yards Bruncheon and Central Foods have gone in alongside spas, art galleries, central gathering places and green spaces. Greenstone's clean, modern development was laid out with alternative transportation in mind, so there are foot- and cycle-friendly connections to downtown courtesy of the Centennial Trail, which meanders along the periphery of the built environment. On account of its close-knit convenience and natural beauty, Kendall Yards has become a draw for career professionals, along with well-to-do retirees and empty nesters looking to downsize while staying close to downtown entertainment and retail. "The kind of people moving into Kendall Yards are people who are seeking an active lifestyle close to urban amenities," says Cat Carrel, Kendall Yards' residential sales manager. "They enjoy the connectedness of the trail and the community to the restaurants and retail stores. The recurring thing I hear is that they appreciate the urban setting that's close to nature, as well as the walkability. The maintenance-free aspect attracts people of all ages, too. They don't have to do their own landscaping, mow their yard or blow out their sprinkler system." 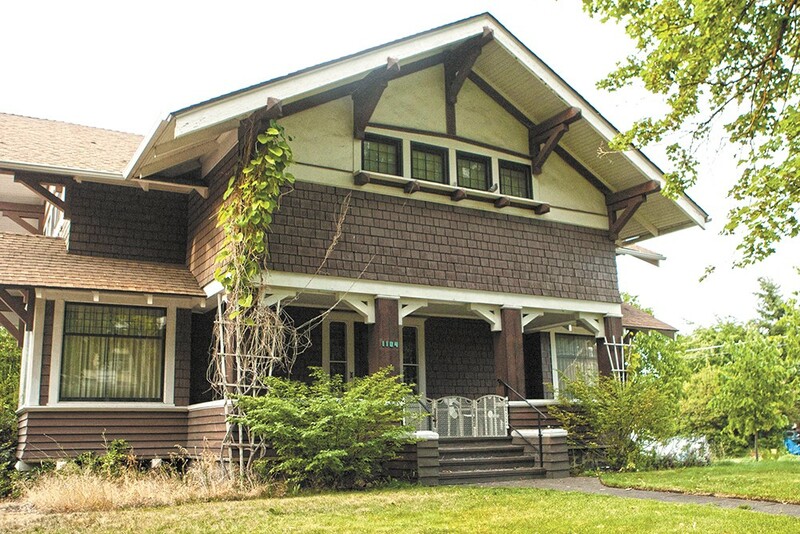 While some neighborhoods experience dramatic rises and falls in popularity over the years, Rockwood has been a constant favorite ever since Spokane was in its infancy. To this day it remains a desirable spot to settle for both longtime locals and newly arrived homebuyers — provided they can afford it. Median house prices in Rockwood for the past year are $254,000, down slightly from the same period for 2013-14 but $70,500 above the current median for Spokane as a whole. Laid out in large part by the Olmsted Brothers, who designed urban areas in harmony with their natural geography, Rockwood's winding, tree-lined streets and stately, well-maintained homes are the closest one can get to a "Norman Rockwell existence in this hustle-bustle world," says Patrick Vollmer, a resident and "self-proclaimed ambassador" of the neighborhood. A handful of Olmsted's triangle parks — tiny green spaces offering a natural respite from roads and structures — are scattered throughout the "undulating topography" of the area. "I'm a big fan of Frederick Law Olmsted, and the park system in the Rockwood neighborhood was a big influence on me," Vollmer says. "Just having so many parks and the great number of trees is something that gives this residential neighborhood its own character. I also appreciate the eclecticism of the real estate — from early 20th-century to mid-century homes. I have a mid-century home and I live among a pocket of homes that were built in the mid-'60s and '70s, which is pretty unique in Spokane." Bordered by the verdant spread of Manito and Lincoln parks, Rockwood also has the top-rated schools and high overall quality of life you'd expect to go along with all these sought-after attributes. Of late, enough young families and aspiring professionals have moved into this formerly 50/50 renter/owner neighborhood for it to qualify as up-and-coming. As in nearby West Central, property ladder entrants are taking advantage of ridiculously affordable (median price: $102,000), three- and four-bedroom, turn-of-the-century Craftsman homes, choosing to channel their money into asset-building remodels instead of monthly mortgage payments. 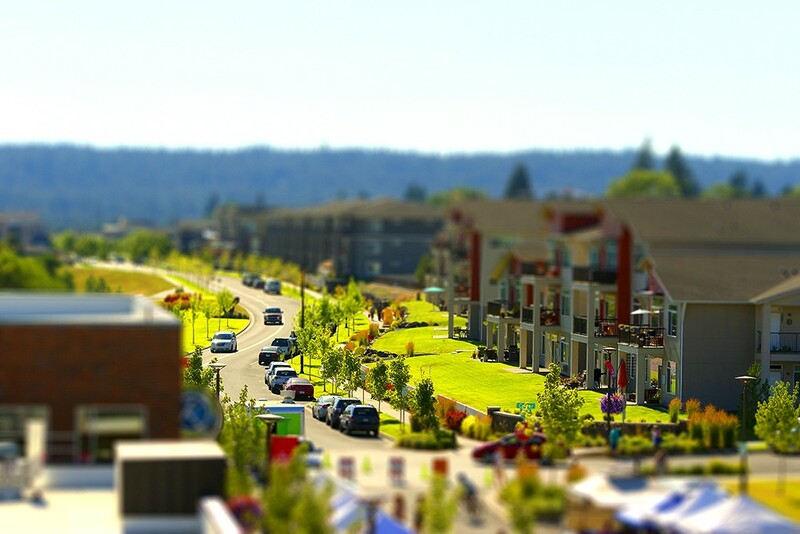 The neighborhood itself features two well-used parks — historic Corbin and smaller Emerson — along with a central location that allows its residents to walk or cycle to the best that bordering areas have to offer: small-business shopping in the Garland District, barbecues and concerts in Audubon Park and entertainment in downtown Spokane. "We continue to live and work in Emerson-Garfield because we're so impressed with the pride we see being taken in neighborhood revitalization efforts — whether it's home renovations and watching relationships being built between neighbors, or the energy we're starting to witness along the North Monroe business corridor," says resident Megan Kennedy. "It's exciting to be a part of it." For several years she and her husband have run Rogue Heart Media out of their home. But they recently purchased a commercial space on North Monroe, in anticipation of pedestrian-friendly improvements slated for 2017 that should make the heart of the neighborhood greener and more walkable. A budding seasonal farmers market in the middle of the neighborhood, a soon-to-be-completed microbrewery and a growing cluster of independent vintage and antique shops along its central thoroughfare are just some more signs that this could soon be a dynamic center of urban renewal. 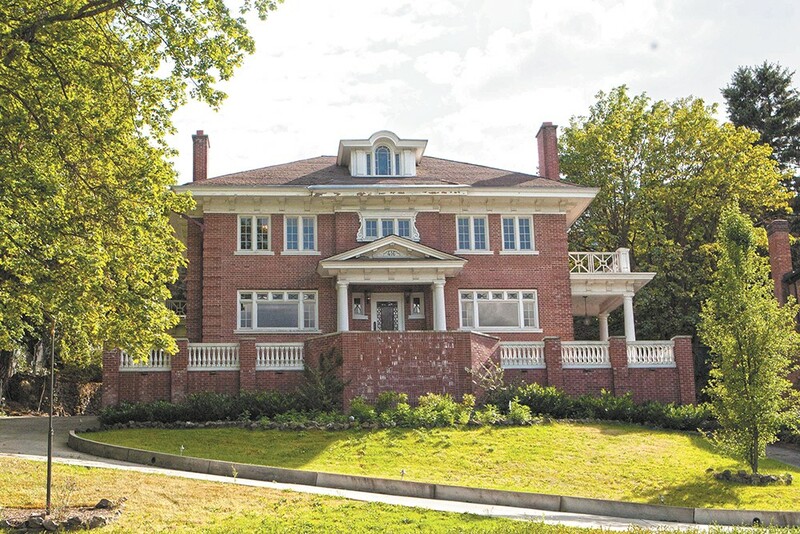 Six or seven years ago, South Perry was a small, unpolished gem in the East Central neighborhood that offered affordable entry to the ever-popular South Hill. Since the revitalization of South Perry's central business district, the surrounding area has experienced a similar transformation, becoming a top choice for homebuyers who want easy commuter access to bus lines, downtown arterials and the freeway, with tree-lined streets and trendy upscale businesses close by. Today, while still affordable by national and even local standards, South Perry's predominantly Craftsman and Victorian homes have accordingly risen in price, selling for $155,000 (median) in the past year — an increase of 6.2 percent over the same period in 2013-14. "It's returning to more of a neighborhood feel like it was in years past," says Eric Etzel, a Spokane realtor who has sold several listings in the area. "Some degree of stigma may have gone away with the shops and restaurants that are there now, and as that improves, that improves the neighborhood overall. Houses that might have been rentals have been converted to owner-occupied homes." In addition to its renowned farmers market on Thursdays and indie businesses like The Shop, South Perry Pizza, Perry Street Brewing and Two Wheel Transit, the area is more or less triangulated by decent-sized parks: Grant, Liberty and Lincoln. Amenities like those in such close proximity — plus the cozy, happening vibe — are attracting buyers from a variety of socioeconomic backgrounds and age groups, to the point that the pool of available homes is shrinking. Average listing times dropped from 71 days (close to the current Spokane average) in 2013-14 to just 54 days in the period from mid-2014 to mid-2015. The closest thing Spokane has to a university district is also one of its most affordable areas. But word might be starting to get out. Between mid-2013 and now, median house prices in the area around and to the east of Gonzaga University (portions of the Logan and Chief Garry neighborhoods) rose from $83,000 to $88,000. That might not sound like much, but it represents a 6 percent increase year over year. Similar to the correlations seen in other districts like South Perry, part of that price increase might be attributed to the Hamilton corridor near the university, where pedestrian crossings and approachable storefronts have helped to rejuvenate an important arterial. 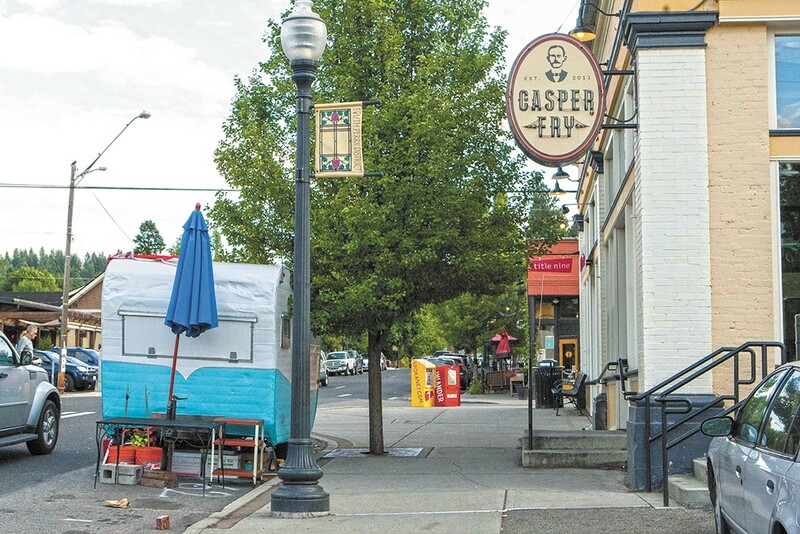 Cathy Gunderson, a 36-year resident of the area and co-chair of the Chief Garry Park Neighborhood Council, says that there are small but significant pockets of improvement all over this modest "mostly blue-collar" area: "There is some new housing going up. And there is some development going on in the Napa corridor, the portion between Trent and Mission." But the biggest advantage might lie in its often overlooked location along the Spokane River, which has portions of the Centennial Trail and Tuffy's Trail on its banks. "We're right in the center of things if you really look at the map. We're just a skip to the Valley, we're not far from the West Side, and we're within a bike ride from downtown. If you want to get around Spokane easily, this would be the place to live," Gunderson says. Along with the greenery of two large parks, college students and ascetic professors couldn't ask for better accessibility: The area is bookended by Spokane Community College to the east and Gonzaga to the west; EWU's and Washington State's Spokane branches lie just across the river. The site of a former lumber mill (hence its name), Mill River is an expanding and varied assortment of new apartments, condos and large single-family detached homes on the banks of the Spokane River in Coeur d'Alene. That mixed makeup might sound hodgepodge, but Mill River's multiple developers have been uniformly meticulous in their approach. The emphasis here is on high-quality luxury builds, low maintenance, and waterfront recreation such as kayaking and boating. So, for example, the condo plumbing is cast iron instead of plastic to minimize noise. Some units feature an elevator option. 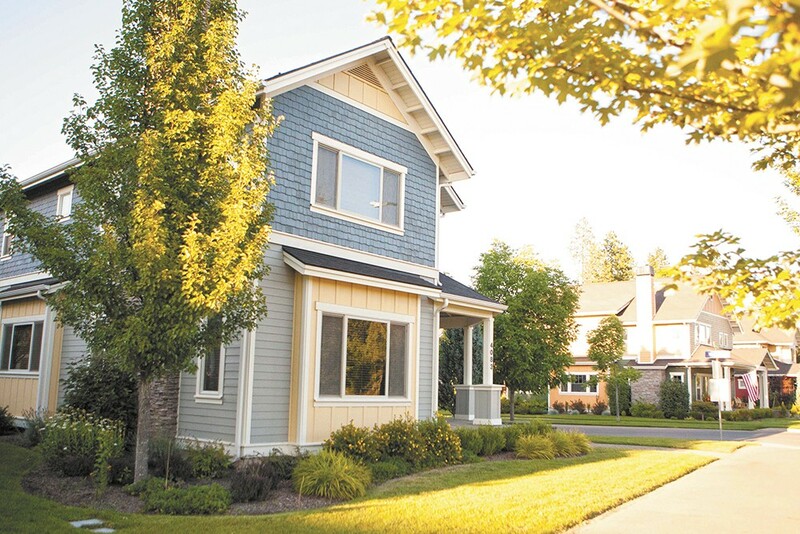 The detached homes are constructed in a classic Craftsman design with small, easy-to-tend lots and a carriage-house option replete with kitchenette for housing visiting family and guests. Right next to the community beach with barbecue pits, volleyball courts and a covered cabana, there's a slip at Johnson Mill River Park that allows boaters to moor for the day. 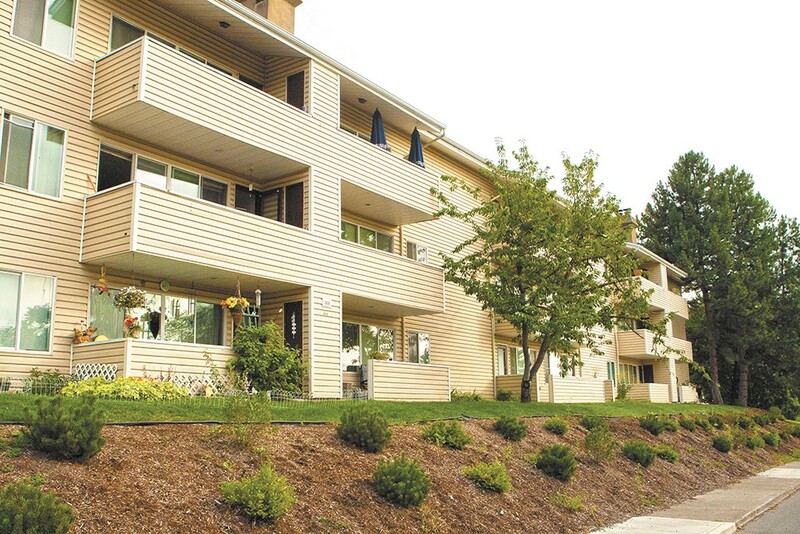 This has appealed to renters as well as owners — Mill River is split about 50/50 along those lines — who share the same priorities. "It's a wonderful neighborhood," says Lea Williams of Sotheby's. "You get the benefits of enjoying the lakefront without paying for a high-priced waterfront property if you're living in a condo or secondary waterfront home. There's a nice diversity of housing choices for whatever stage in life you're in. Mill River is also close to all amenities in Coeur d'Alene and close to I-90 for quick access to Spokane." The North Idaho Centennial Trail hugs parts of the freeway there, too, giving residents yet another transportation or recreation alternative. Current prices for condos range from $244,000 to $315,000. Secondary single-family waterfront homes are going for $364,000 to $563,000; a brand-new, top-of-the-line customized true waterfront home could set you back $1,250,000. Suburbia often gets a bad rap, but there's something to be said for tidily spaced homes built within recent memory, well-tended lawns and tranquil residential streets that offer a wholesale escape from urban life. That's just what Eagle Ridge delivers. 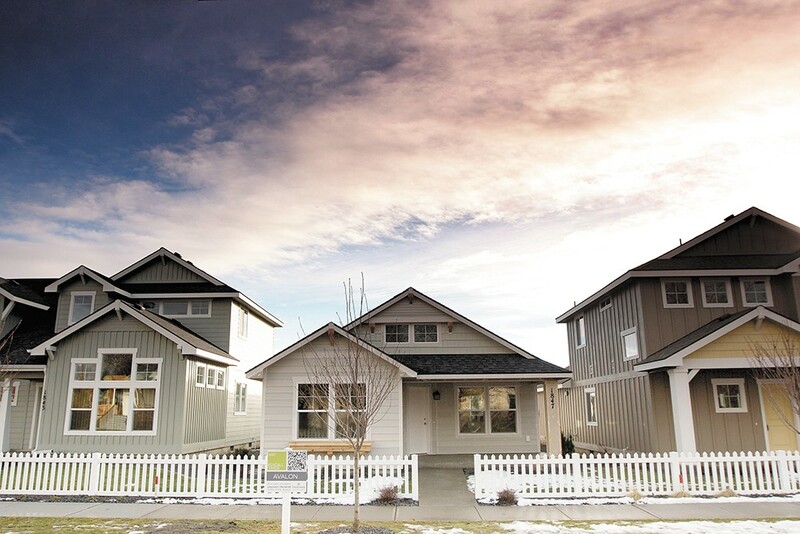 Located 5 miles from downtown Spokane, this master-planned community built in a concatenation of intentional loops prides itself on its landscaped walking trails, "tot lots" where children can play safely, and more than 160 acres of forested common space. The nearly 6-acre Whispering Pines Park at its center shows family-friendly movies on summer evenings and features a rock-climbing wall and several playgrounds, as well as a multipurpose athletic court. If the nine-hole golf course on the eastern edge of Eagle Ridge isn't enough, you're within skipping distance of full-sized The Creek at Qualchan Golf Course. Of course, all this luxury is reflected in the home prices. Median sales for the past year have run around $297,000 — up 7.2 percent from the same period for the previous year. "It's more like a resort," says Cindy Mathis, marketing manager for Newland Communities. "When you leave work, you're coming home to an area that is surrounded by nature." She notes that the development was initially zoned for 2,000 units, but only 1,080 were built: "Instead of doing grid housing with no green space, we took a lot of that acreage and left it untouched or groomed to make the neighborhood more appealing." With a total of five parks, regular neighborhood-wide events such as book clubs, picnics and karaoke, plus a neighborhood intranet for an online resident grapevine, Eagle Ridge has become a popular choice for "a true mix" of home buyers. "We're very connected here," says Mathis. "It's for people who are looking for the old fashioned get-together with your neighbors." Welcome to the Inlander's 2018-19 Annual Manual!